Whitehall Training has pioneered the delivery of innovative and interactive online training, helping nearly 10,000 organisations and over 21,000 individuals comply with legal requirements, as well as ensure quality throughout a wide range of different pharmaceutical, bio-tech and clinical research best practices. We offer industry-leading GCP courses in several languages and several versions to match country-specific regulatory frameworks. We even have two different GCP courses depending on whether the learner prefers a text-based “standard” approach or a more “interactive” course with case studies and questions based on the author's experience to test the trainee's understanding and enforce learning throughout. Recently, we expanded our portfolio with courses on good clinical laboratory practice, good laboratory practice, pharmacovigilance, device vigilance, good distribution practice, the fundamentals of clinical trials and good manufacturing practice, with more in the pipeline. But with every course, our philosophy remains the same – to combine the best possible learning experience for students with the simplest and most effective administration tools for course co-ordinators and training managers. 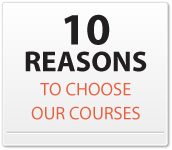 Each course was written by leading industry experts in their field. Many include scenarios taken from first-hand experience, to help learners relate their learning outcomes to different workplace practices. The syllabus is delivered in a clear and engaging way through the use of images, diagrams and links to current regulations and useful sources. Once each course is completed, the learner earns CPD points and is given access to a multiple-choice exam with questions randomly selected to cover all major aspects of the subject. Once they pass the exam, they receive a uniquely numbered, personalised certificate so they can demonstrate their knowledge. Our courses are already available in a variety of different languages in order to accommodate your needs, but we can be flexible to suit your needs. You’d be surprised how cost-effective it can be for us to make the changes you need. If you would like to get in contact with us then please follow this link: Contact Us.